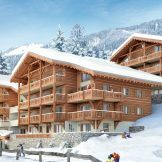 We are delighted to offer this wonderful collection of new-build properties in Châtel, which boast stunning views of mountains. Châtel is part of one of the largest skiing areas in the world, the Portes du Soleil, which groups together twelve Franco-Swiss ski stations, including Avoriaz and Morzine, and offers 293 slopes to explore in total freedom in wild and protected natural lands. They are ideally oriented to allow for optimal sunshine. 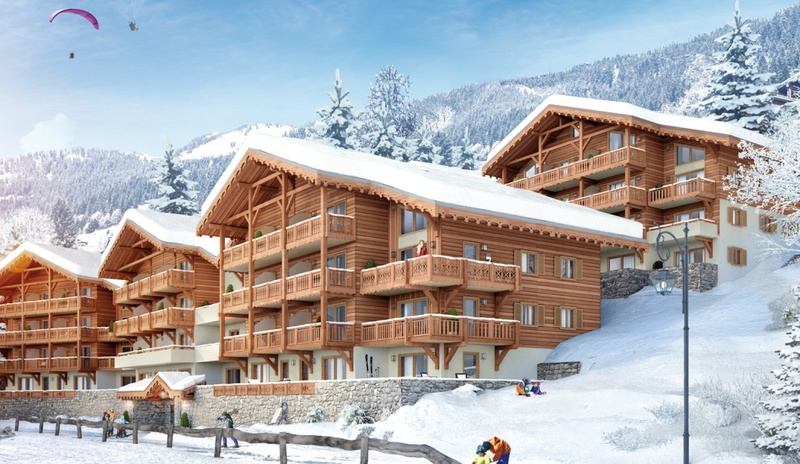 Located in the centre of the village, Perle de Savoie enables the future owners to enjoy the large choice of amenities, including bars, restaurants and shops. On-site amenities are also available, such as a wellness centre for relaxation. 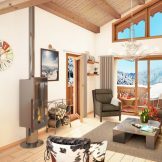 The apartments range from studio to four bedrooms and range in size from 24 to 125 square metres. 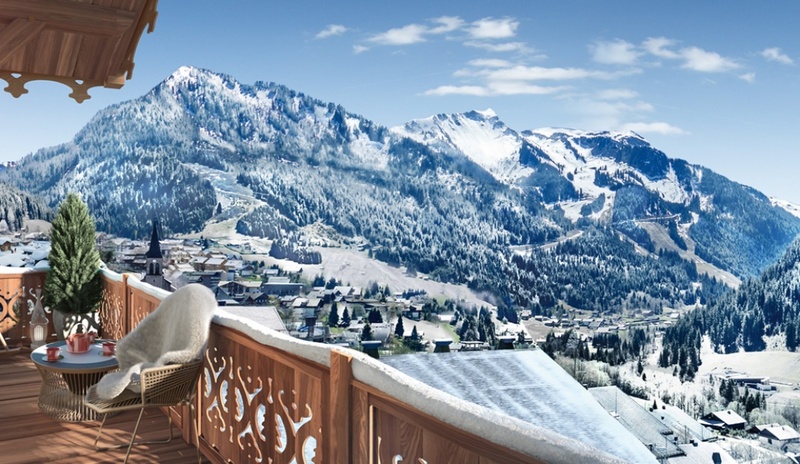 They enjoy panoramic views of the mountains and each apartment has its own private outside space. With high standard features, they have been thought out carefully to maximise space and to meet the requirements of demanding modern day buyers. They offer contemporary comfort combined with the expertise of traditional construction which guarantees beauty, functionality, and quality of life throughout the year, both inside and out. Refined spaces are fitted with sophisticated materials that are perfect for a lifestyle that is particularly dignified. 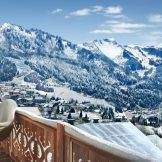 These are the sure and discreet signs of a high-end residence and these ski properties are perfect for holidays and for long term rental investment. Studio apartments, from 24 sqm, plus 9 sqm balcony, priced from 179,000 euros. 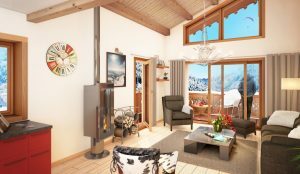 (From 189,000 euros with parking). One bedroom apartments, from 39 sqm, plus 9 – 17 sqm balcony, priced from 260,000 euros. 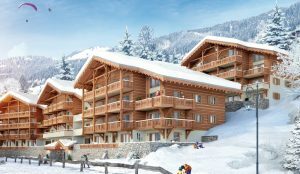 (From 270,000 euros with parking). Two bedroom apartments, from 58 sqm, plus 12 – 37 sqm balcony, priced from 325,000 euros. 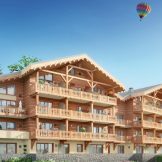 (From 339,000 euros with parking). Three bedroom apartments, from 73 sqm, plus 10 – 47 sqm balcony, priced from 495,000 euros. (From 520,000 euros with parking). Four bedroom apartments, from 99 sqm, plus 18 – 75 sqm balcony, priced from 699,000 euros. 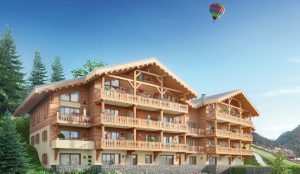 (From 724,000 euros with parking).